Flex/Flex adjustment: 120AT, 47dgrs range in walk. Binding compatibility: AT bindings only. Salomon's MTN Lab boots offer lightweight touring boot functionality on the ascent whilst giving solid ski performance on the way back down. The simple 2 buckle design is easy to use but people have still found the MTN Lab as supportive as some of the best 4 buckle touring boots out there. 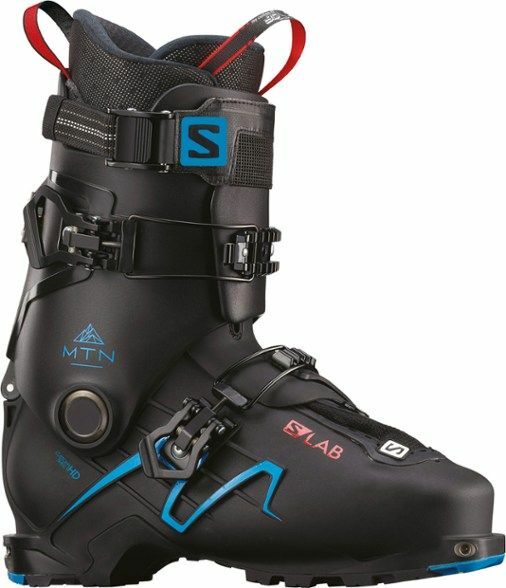 With a 98mm forefoot last width the MTN series of boots are reasonably narrow but can be stretched for width. They are quite deep over the instep height though so they are not necessarily the best choice for people with pencil thin feet.